"You are clear to enter. Welcome to Pizza Planet." Fifth Sun is a yet another fantastic place to get officially licensed pop culture tees—I would say the company is in the same vein as BoxLunch Gifts and Hot Topic when it comes to awesome shirts. It wasn't too long ago that I discovered them and I'm glad I did! There are tons of great Disney and Pixar tees (among others) currently available. 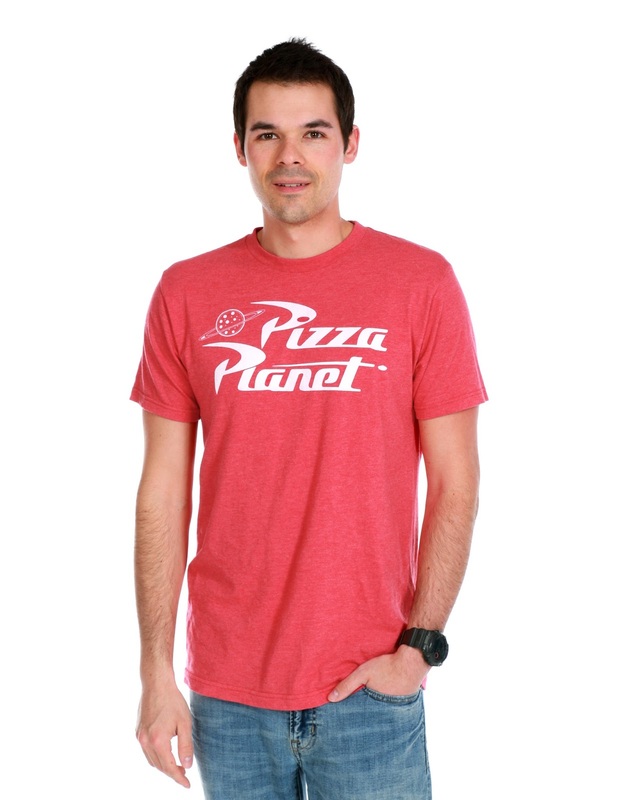 I've wanted a Pizza Planet shirt ever since I missed out on the 2015 D23 Expo exclusive one (seen HERE with the Toy Story 20th logo on the sleeve; it was sold out by the time I got into the store there). Well I finally have one and I absolutely love this Fifth Sun version I found. A big thanks to my wife Brita who hooked me up with this as a Valentine's Day present! This is exactly how I like my shirts: soft and fitted made from lightweight fabric. Totally comfortable! 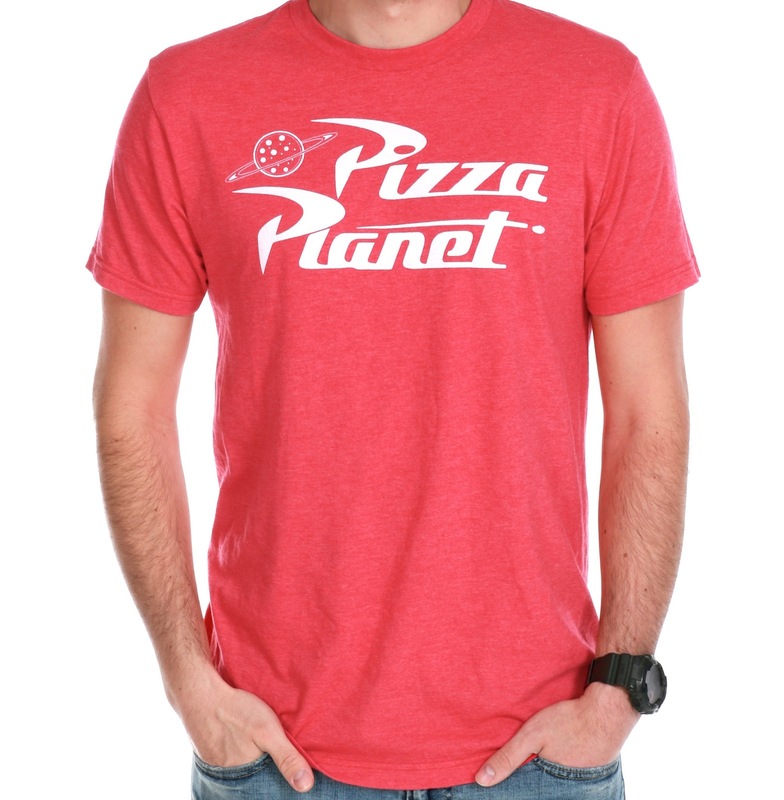 I love the red heather color as well as the minimal graphics featuring the iconic Pizza Planet logo. There's also another design (seen HERE), which basically just adds the text "Delivery Service: Serving Your Local Star Cluster." That one is technically closer to the D23 version I originally sought after, but I favored this design ultimately. Note: I wanted to mention when this tee came (I'm a size medium), it seemed way too big. However after washing and drying, it shrunk to the appropriate size. Just FYI! I can't recommend this t-shirt enough for all you Toy Story fans out there. It's a must have! If you want to add this to your Disney shirt collection, you can purchase it on the Fifth Sun website HERE for $18 or on Amazon using the direct links below (I'll add the other version of the shirt down there as well in case you like that one better).